An empowering love story about letting go of guilt and holding on to hope. 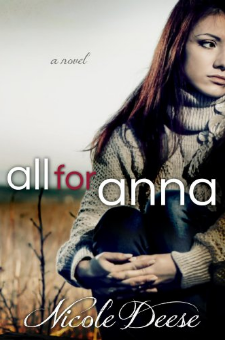 When Tori Sales, a 23 year-old trauma nurse returns home, she's determined to escape the painful memories that haunt her still...two years after the loss of Anna. But not even the distraction of a new job, an overbearing family, or a therapist who won't take no for an answer can lessen the guilt trapped inside her. After a chance encounter with a compassionate fireman, Tori sets out on a journey to find closure where she needs it most. But when a shocking revelation threatens the relationship she's come to rely on, Tori is forced to make another life-altering decision. Will she stay with the man she loves or will she choose the escape she knows best...This is the first book in the Letting Go series. Be sure to check out All She Wanted (Book 2) and All Who Dream (Book 3).